The first storm of December arrived Monday morning bringing rain and a winter storm warning to parts of the county. The heavier rain is expected to hit later in the afternoon, in time for the evening commute. 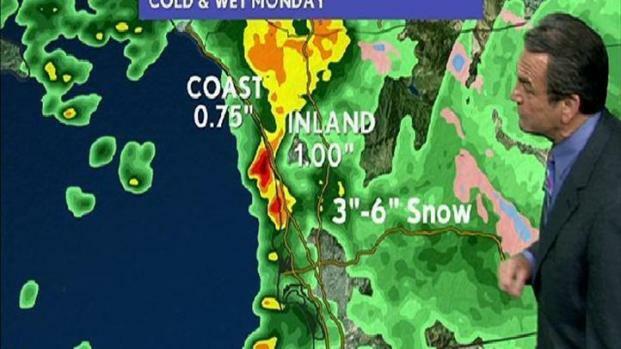 Rain pours throughout the county and snow falls in Julian. "There will be moderate rainfall, some heavier rain mixed in, but it will be on and off all night,” said meteorologist Dagmar Midcap. Midcap said she expects Tuesday morning will start to clear up and by the noon hour there could even be some sunshine. A Winter Storm Warning has been issued for San Diego County’s mountains from 10 a.m. Monday until 2 p.m. on Tuesday, according to the National Weather Service. NWS also warned of a squall line moving onshore from north of La Jolla up to Oceanside. The line often produces water spouts and is capable of bringing in strong winds and hail. Areas that could be affected include La Jolla, Carlsbad and Encinitas. The Doppler radar also indicated some thunderstorms were moving into the coastal areas of San Diego. The storms could possibly move onshore during the afternoon. 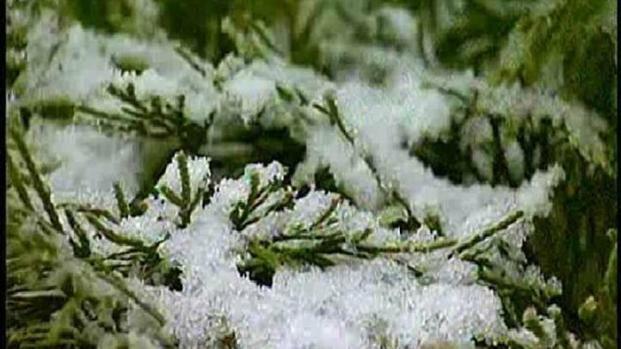 It began snowing in Julian around 11:30 a.m. Monday, according to meteorologist Greg Bledsoe. The snow just started to stick in the mountain town after 2 p.m.
Julian School District was forced to send some students home from the Cuyamaca, Harrison Park and Kentwood areas. One bus also sent students home who lived in Mt. Laguna. NBC 7 In The Community! The district will wait until later or early tomorrow morning before making a decision on whether to cancel school for tomorrow. They have an updated phone system this year that sends out automatic recorded messages and text messages to let parents know if school is canceled. 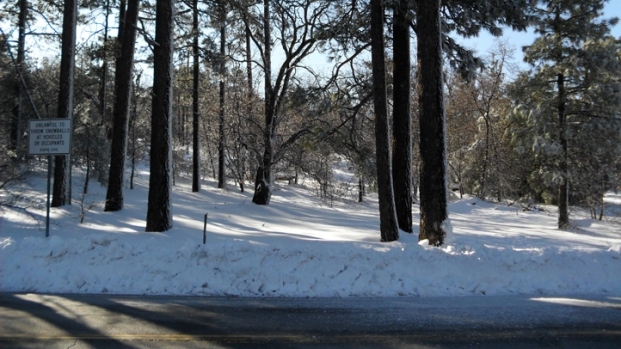 North of San Diego, staffers at Big Bear Mountain are preparing for the possibility of up to a foot of snow between Monday and Tuesday. The mountain's website warns visitors that icy roads may affect traveling conditions. As of 5 p.m. there had been roughly 190 collisions in San Diego County, which is triple the usual amount of car accidents. There is another chance of rain on Friday.